As I mentioned in a previous #TBT post about Alcatraz, we made a stop in Los Angeles while driving from San Francisco to San Diego back in February. It was a quick visit for sure: we only had one full day in LA! 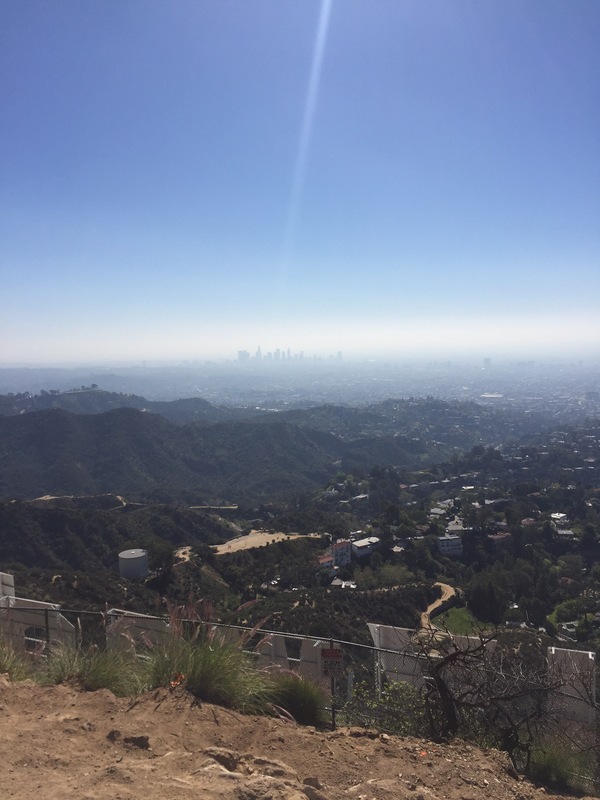 When planning how we’d conquer the City of Angeles, we decided that the Hollywood Sign hike was a must! 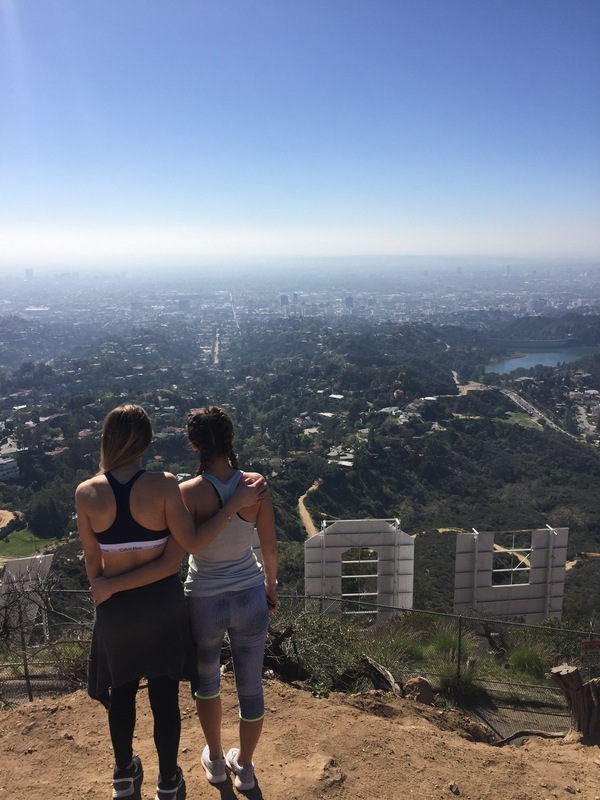 That morning we threw on some workout clothes, laced up our sneakers and made Griffith Park our destination. This is definitely not a traditional nature hike, but it was still absolutely exhausting in the LA heat. I wish I could tell you the exact route we took and where we started from, but unfortunately those details are a little foggy. Honestly, we just asked our Uber driver to drop us off at the best entrance to the park. 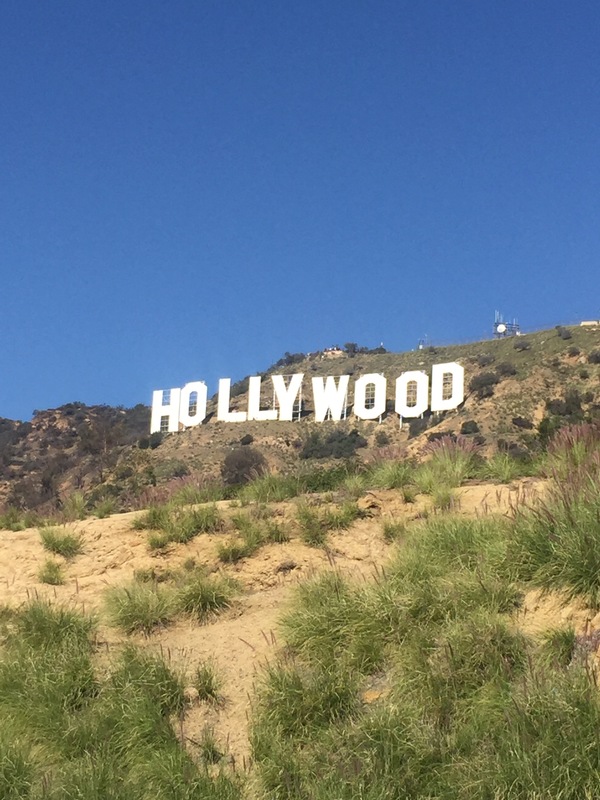 What I can tell you is that it took quite a while to get up to the Hollywood Sign and back down. We started pretty far away from the Mt. Lee peak and the trail we took wrapped up through the mountains and ultimately around the back of the sign. The trail itself was pretty straightforward. It was pretty much a big dirt path with some occasional rocks, but it got pretty steep at times. It’s out in the open, so you’re not trekking through foliage. The path up to the actual peak above the sign was especially steep and rocky. Despite the time and physical effort, the morning excursion was WELL worth it. It was awesome to see the 1920s landmark that close up and the views of the city were absolutely extraordinary. The pictures simply can’t do the sight justice. 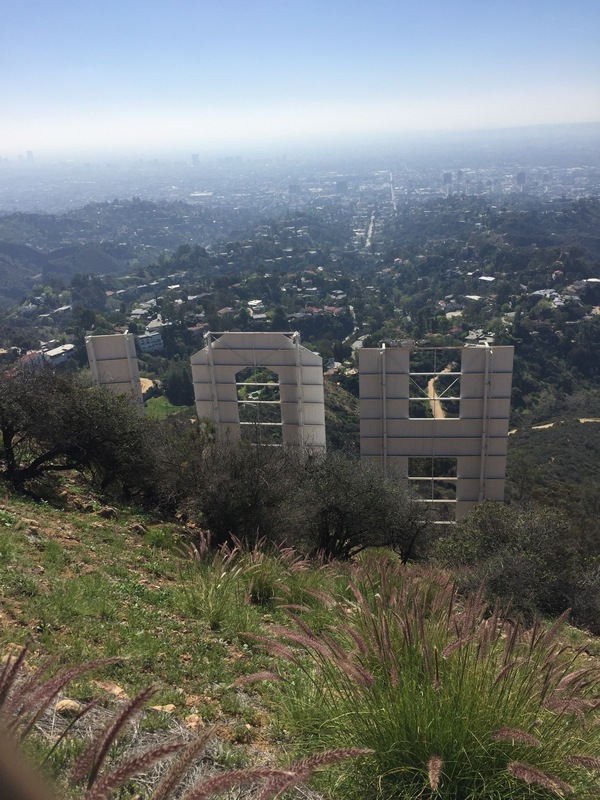 It was also really cool to do some wandering in the Hollywood Hills on our way back down– the houses were beautiful! Cell service, not so much. Naturally, we needed to reward ourselves with some grub, so we stopped at the Beachwood Cafe before heading back to our Air BnB in Echo Park. Maybe it was because we were famished, but the omelets were to die for! 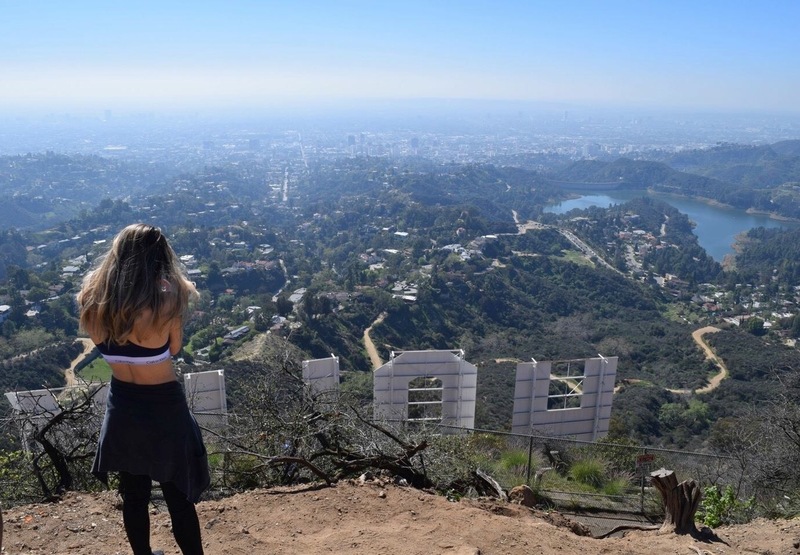 If you find yourself in LA, you should definitely do the hike for yourself. My tips include bringing WATER, layering on some sunscreen and wearing comfy (athletic) clothes and sneakers! Also- make sure your phone is charged! Apparently, the LA skyline is quite smoggy in the morning, so timing is important. We made it to the top at around 10:45 AM PT and the views were already breathtaking.